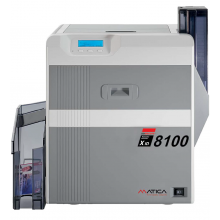 Our Matica products offer a range of high quality retransfer printers ideal for higher print quality ID cards. Our XID Retransfer range is also ideal for access cards, employee IDs, driver licenses, transit passes and financial flat cards, with the largest variety of smart card encoding, printing and lamination modules in the world for desktop solutions. The products in this range are available as Single Sided and Double Sided models, including countless variable features (Magstripe, Smartcard and Signature stripe Encoding, Edge to Edge and Barcode Printing). 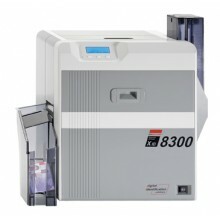 These products are ideal for those who wish to print in low to high level volumes; many models contained on this page print up to or in excess of 10,000 cards per year. 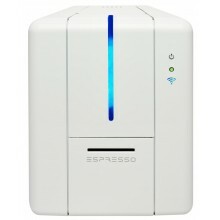 Provided with each printer is free Cardpresso XS software, worth £34.49. In regards to the printing of basic ID Cards, this software enables the user to do everything they require, also giving the user access to predefined templates for basic card designs. Should you require access to addition software capabilities however, check out our Cardpresso Range and Software Datasheet. All models are provided with at least a 2 year manufacturing warranty. Along the right hand side of these product listings are compatible consumables and products, such as ID cards, printer ribbons and cleaning kits, that will make it easier for you to determine what products you may require with your purchase. 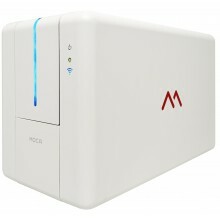 ID management system provides direct-to-card card printers; retransfer card printers, image capture, central issuance systems, card lamination modules, card management software, supplies and much more from Matica Technologies, the producer of Matica ID Card Printers and other Matica products. 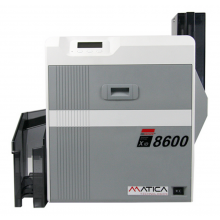 Matica ID card printers are higher quality than most others on the market, this mean, they are known to work better and last longer. This shows our service guarantee for the life of the warranty, which means a Matica printer, will surely be a great investment for you. ID management system is now proud to offer customers Matica ID card printers range, which are known as one of the reliable and best retransfer ID card printers in the market. As United Kingdom largest full-service identification and security solutions provider, we provide exceptionally competitive market prices, both local and online service and support.